Our daily morning show! Click below for the most current episode. An intro level classed designed to teach you the basics. Class information, presentations, and student work can be found here. 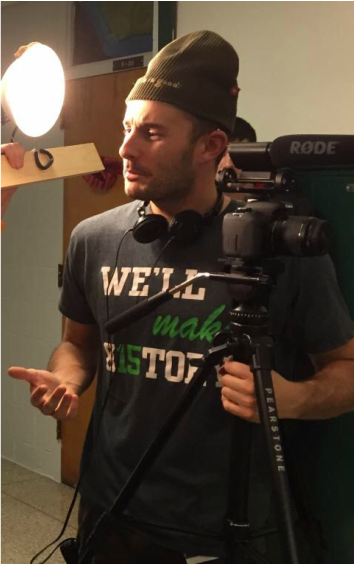 Capstone class for those determined to make it in the industry or college film studies. Class information, presentations, and student work can be found here. After school club handling all the schools production needs. TV3 working on their workshop projects focusing on camera movement and blocking. Some good groups here! Love the focus and dedication to the craft. A blog by Mr. Leonard highlighting industry topics, school things, or a deeper look at projects from around the school or personal life.